Some Bbs E50s would really set this car off and make pants tight. If you want to set up a kickstarter so I can afford a set of those I will buy them and mount them up! Made a valiant effort to get the tie rods changed out for the turbo units. After going at it on my own I consulted Bryan and Brian and with very little effort I got the driver side off. 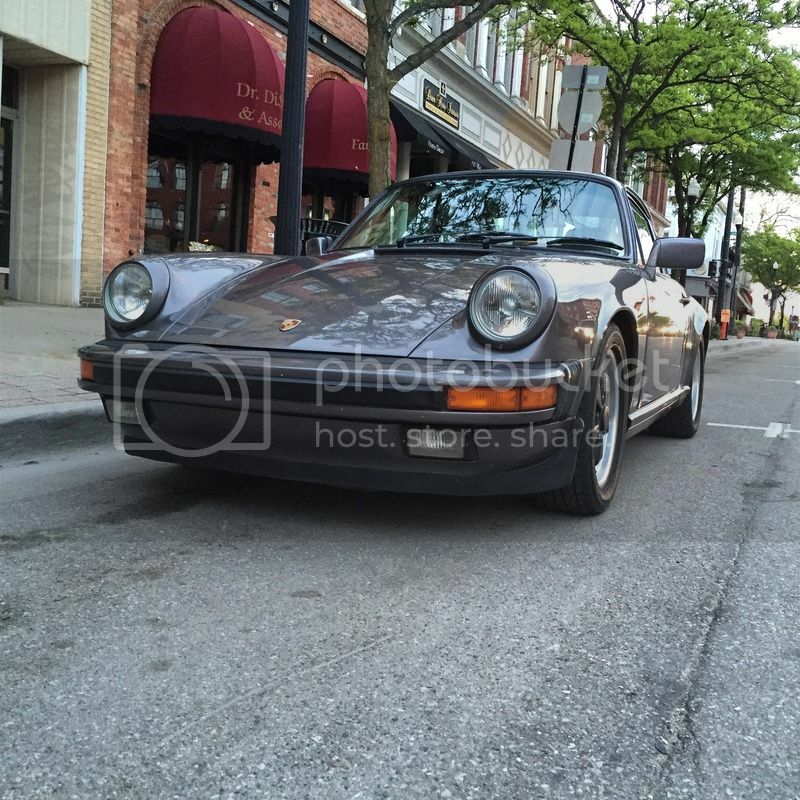 Here is a side by side of the Carrera vs. Turbo units. You can see the turbo units on the left are much more robust than the dated "u-joint" style of the Carrera. I then moved to the passenger side.... Now its been 3 weeks and I still cannot get it off! I have went through two different "pickle fork" style pullers with no luck, I literally snapped one of the legs off of a jaw/screw style puller and it didn't budge. I have tried multiple hammer techniques and a pry bar technique suggested by Joe Z. I purchased a different puller that received good reviews on the Pelican forums and that did nothing as well. As a last resort Bryan is coming over tomorrow to see what we can do. I have a feeling a more in depth surgery will be needed to get this thing off. On to the light weight battery. I came across a thread on the Pelican Parts forums by the "world renowned" Jack Olsen about a poor mans light weight battery. The group 92 battery that comes on the 911 is massive and heavy. He found that a wheel chair battery with very similar output was 50% lighter and $100 cheaper than the next closes example. You can buy them on new egg for $50 if you plan the sales right. After keeping the thread going for almost 5 years now he is still reporting that the same battery is working well. It would not be suited for DD use but for occasional use and keeping it on a battery tender it works more than fine. I had to fab up a mount for the battery. 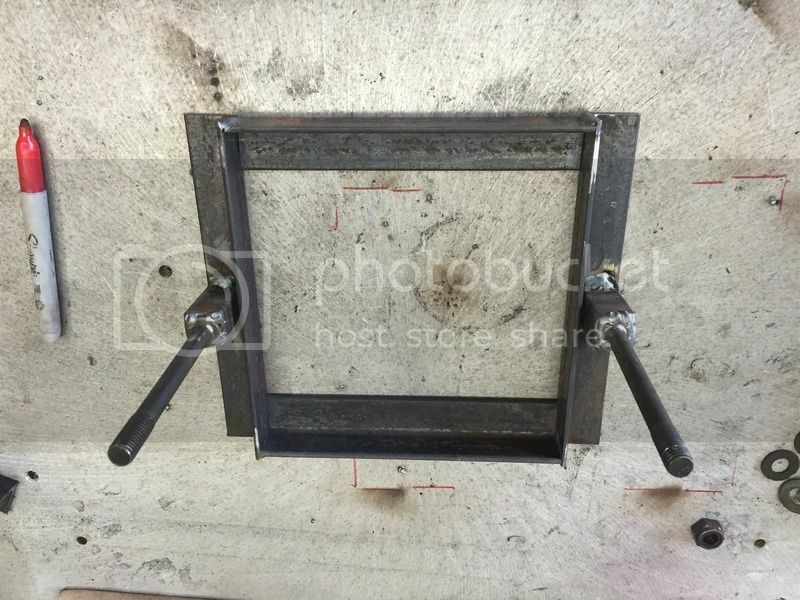 I used some 1-1/2" angle and a couple bolts I had from a weight bench I re-purposed a couple years back. Works a treat and with the battery still keeps me about 15lbs lighter up front than the OEM battery. I'll get a shot with the battery installed this weekend. I had to fab up some angle brackets in order to mount posts onto this battery since its intended to be bolted into a wheel chair it does not accommodate normal automotive posts. I installed the battery on Saturday once the paint had dried on the bracket and started the car for the first time since November 2014. After a couple false starts it fired up! The battery had enough juice for 3 solid crank sessions before firing up. Woohoo!! Then I sat for a second and said to myself "what is that noise?" Sure enough I have a couple noisy valves. Which means I did not get the valves adjusted just right. I was afraid of that and not surprised I am going to have to dig back into that project again this weekend. The second time will be much less painful because by the time I was done I was doing fine. The valve noise sounds like it's coming from cylinders 1 and 6 which would be the first two I adjusted and was definitely still figuring it out. 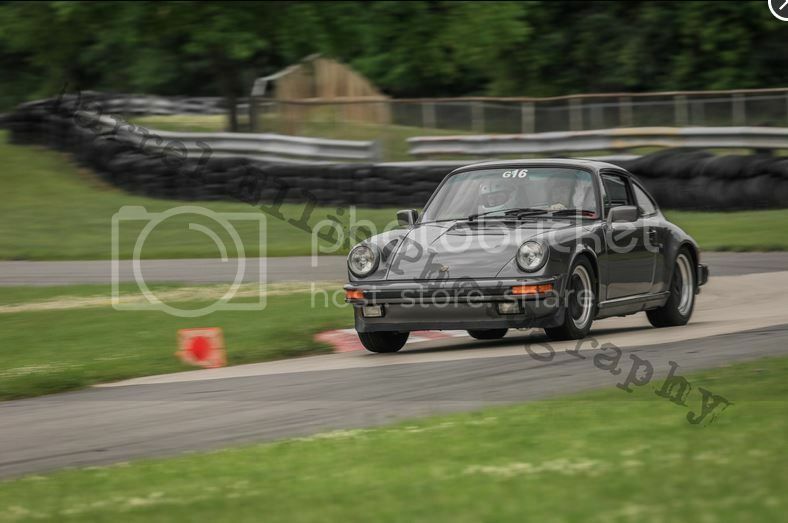 Other than that I have an alignment, corner balance and tech inspection scheduled at Automotion in Ann Arbor this Friday at 1 so that I will be all ready for track days at Waterford both the 8th and 9th! 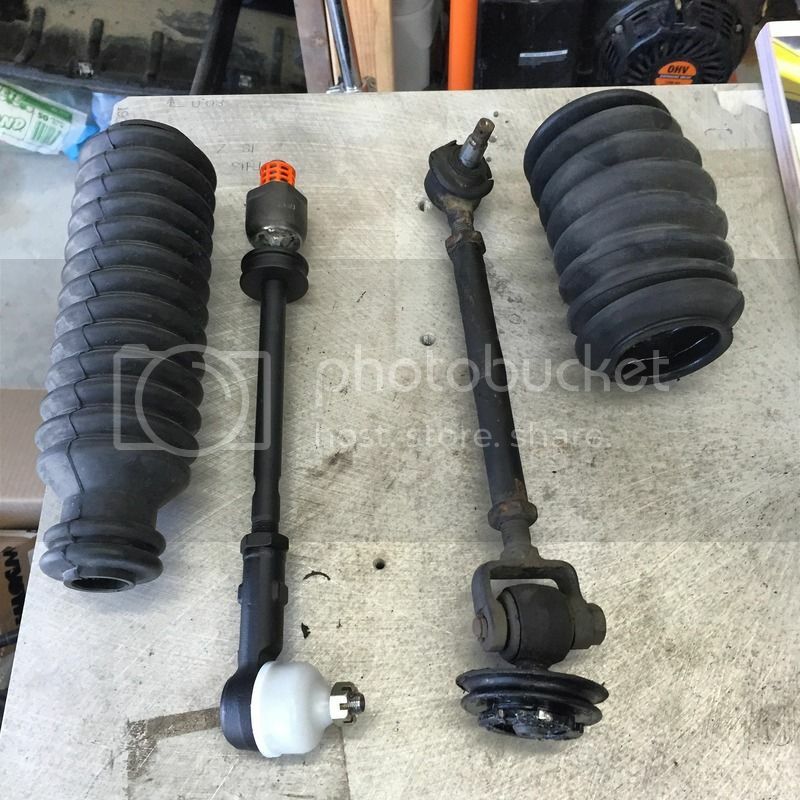 Have you tried heat yet on the tie rods? Tuned and deleted Super Duty, An old Chevy with a Cummins, my wife's Volvo, a 5th wheel and a boat. I like to drink and work. My family is cool too. Heat was about the only thing I didn't do to get that passenger side tie rod off. I ended up calling in the Porsche troops (i.e Btek Bryan) who came over with his trusty BFH tie rod tool. 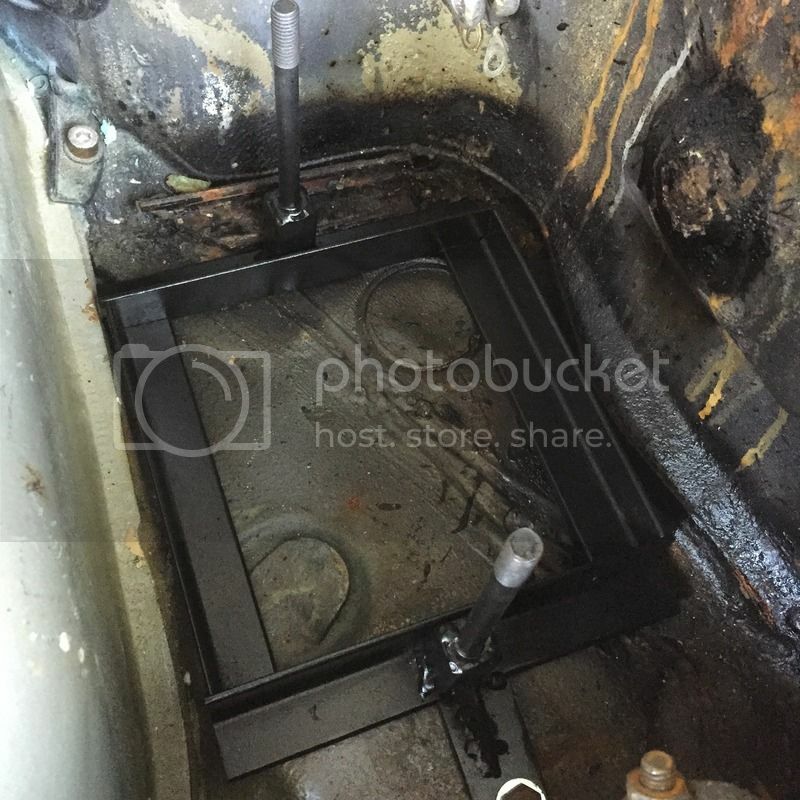 We ended up taking a piece of 1.5" square stock and wedging it between the control arm mount on the body and the back side of the knuckle where the tie rod mounts. I held the steering wheel to keep pressure on the stock while he literally wailed on it until it popped loose. It's something I would have never had the balls to do but it worked after about 10-15 whacks. After that it was 15 minutes and I was done! Other than that I had 2 more goes at the valves. The second time I went to tight and lost compression so the car wouldn't run. I went at it a third time and a 3 cylinders to loose but it would run. I got that done around 1am April 30th so I buttoned everything up and called it done since I usually get up around 5am for work. I took it to Tim Potts at Rennsport (Arbormotion) the morning of May 1st for an alignment, tech inspection and corner balance. Well that was done and in addition I had to have the valves done again. Tim basically said; I can't in my right mind let you leave here with the valves that loose. Sooooooooo; 4 days and an additional $300 later I have a fully functioning, aligned, lowered beast of a 911 back in the garage! 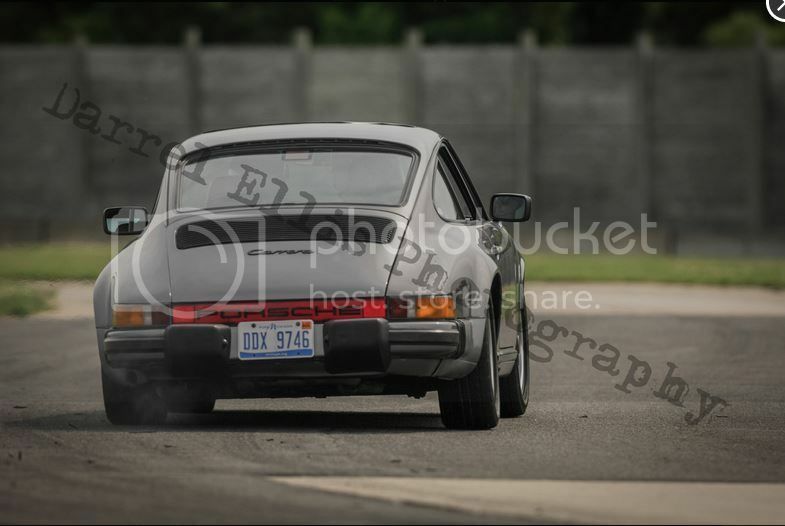 Got in two track days on May 8/9 and will be heading back to Waterford on June 11, July 21 and August 22. Here is a pick of the ride as it sits this morning during my standard Friday morning bakery run for fresh pretzels to kick off the weekend. I have to adjust valves this weekend..yay! ...we all started out with the same tools dream it, build it, breathe it. Nothing much to update about the car as a project. Just getting in as many track days as I can. I had my third day out at Waterford Hills on June 11th. It went well; working with an instructor certainly helps but more time on the track means more time reduced in my laps. Between my first lap at Waterford and my last I have dropped 9 seconds. I am almost at the limit of the car in its current form though. Squishy shocks, stock torsion bars and all season type tires are making the rear end get pretty squirly in the turns and it makes it difficult to get any power to the ground coming out of 2-3 turns at Waterford. I can't complain I am sure a better driver could turn faster times but after 3 track days; new tires and stiffer shocks are definitely in my future. 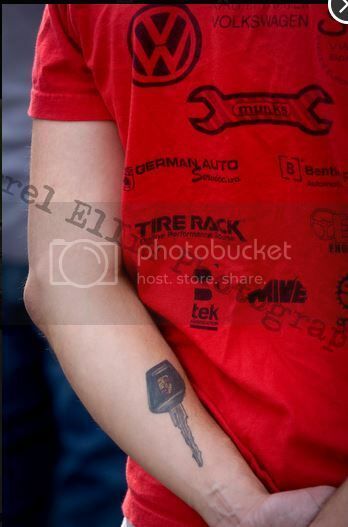 Cool shot of my tattoo. Not quite sure when he snapped this one but good MIVE plug none the less! Still planning to do the short shift install and linkage rebuild over July 4th holiday shut down week. Last edited by MillerMav; 06-16-2015, 06:58 AM. Great pics. 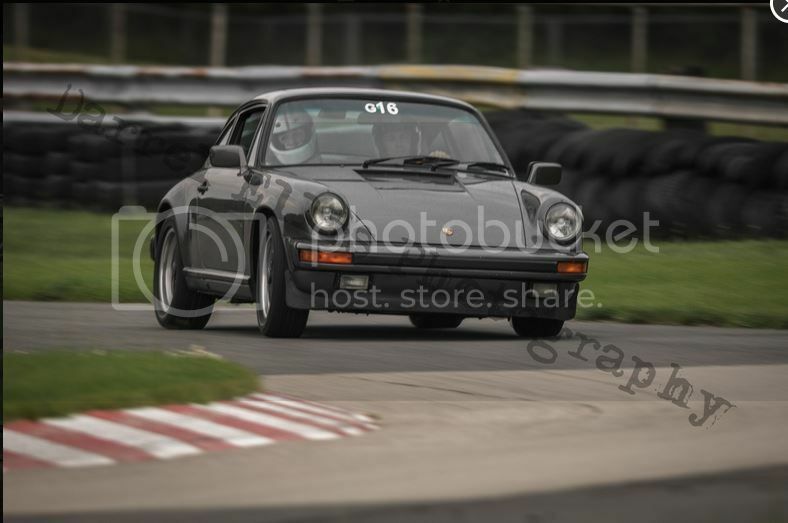 The old 911 in it's natural habitat. It's cold out and the car is up on stands while the interior and wheels reside in the basement. I got some new sticky rubber to go on the wheels in the spring but first I plan to refinish the wheels so that the petals are aluminum and not just all black. Other than that I am working on lightening the car as much as I can for upcoming track days. So the stereo came out as well as the rear seat backs, door cards and stock seats. I'm hopefully picking up some Recaro Trophies from Katherine in a couple weeks which are lighter and offer better support without going to a full race bucket. Today I started on the RS style door cards. Got the passenger side all cut out and drilled. I have a nice matte black vinyl waiting to wrap the card but first I have to get some clips and figure out how I want to set up the door pulls and release loop. Here are some shots of the first door card build! I should have more updates in the next week or so. This is a nice project for cold winter evenings in the basement.